The Standing Committee on Access to Information, Privacy and Ethics has been conducting a much-needed study on the privacy issues arising from the border and airports. 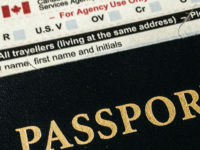 The study has attracted considerable media attention, with the Privacy Commissioner of Canada warning about U.S. border phone searches and the CBSA promising to begin tracking cellphone searches. I appeared before the committee late last month alongside the Canadian Bar Association and privacy expert Kris Klein. The full transcript can be found here. My opening remarks are posted below. I focused on four issues to consider in trying to address airport and border privacy concerns: Privacy Act reform, information sharing within government, the applicability of Charter rights at the border, and the role of the NAFTA negotiations.